Manufacturer & Exporter of Liquid Oxygen Tank. Our product range also comprises of Oxygen Plant, Air Separation Plant and Acetylene Gas Plant. The Liquid Oxygen Tank our company offer are engineered for maximum flexibility and minimum cost. Being technologically advanced, the tank is time and resource saving option. 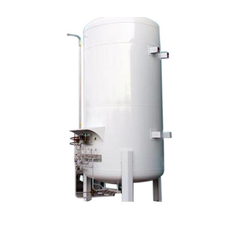 Due to the optimized piping design, it has become very easy to operate and maintain the tank. Readily accessible valves and controls give sufficient clearance, facilitate operation and shorten maintenance procedures. On the other hand, they have wider space and show superior performance to meet the flow requirements of a complete range of gas and liquid applications. Looking for Liquid Oxygen Tank ?